Popular HGTV shows like "Fixer Upper", "Flip or Flop" and "Property Brothers" tout the benefits of finding the worst house in the best neighborhood and fixing it up into your dream home. But a large portion of today's buyers look for Tucson homes that require little to no repair or renovation. They want a move-in ready house. To appeal to these buyers, it might be in your best interest to make a few changes to your current surroundings before you list it on the market. 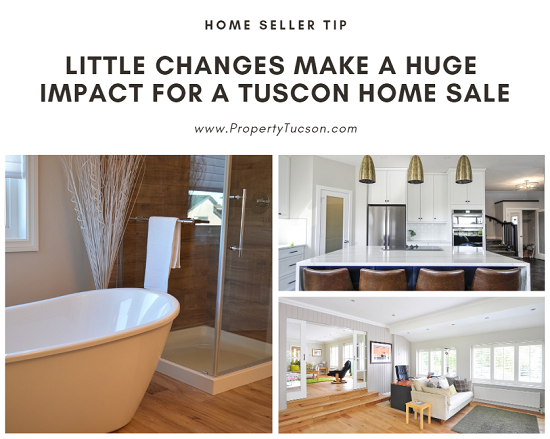 The good news is that a few little changes can make a huge impact when it comes to a Tucson home sale. One of the easiest (and least expensive) changes you can make that has a huge impact for a Tucson home sale is to simply add a fresh coat of paint. So, you went through a phase where you sponge painted an accent wall in the living room. Maybe your child loved purple so much that they insisted you drench their bedroom in it. And the royal red in the dining room? Maybe it's time for a change. Paint everything a nice, neutral color. That doesn't necessarily mean that all of the walls should be a stark white. Beige, taupe, light gray, and off-white colors such as ivory or cream add subtle nuances of color without overwhelming the senses. If necessary, you might want to paint the exterior of your Tucson home as well. At the very least, touch up chipped or faded areas so that you present your property in its best light. If your carpet or flooring is looking worse for wear, it might be time to change it. Say "bye-bye" to shag carpeting. Hardwood floors are popular with today's home buyers. First, check underneath the carpet to see if there are hardwoods underneath. That could save you a ton of money. If not, you could choose a laminate for roughly $0.50/sq ft or a durable bamboo or hardwood flooring for around $1.50/sq ft. For ceramic floors, clean out the grout and replace any cracked, broken or chipped tiles. Don't bother replacing the entire floor before you list your house unless it's in the bathroom or entryway. The cost of replacement runs too high to make this worth your while. Yes, it's true that the kitchen is the heart of the home. It also helps sell your home. However, instead of dumping $30,000 or more into a major remodel, spend your time making a few small changes instead. Strip or sand down your cabinets and resurface them instead of replacing them. Add a coat of paint or new stain for a completely different look at a fraction of the cost. Add or replace pulls and knobs. Resurface the sink. Replace warn out, cracked or old caulking. Even if you just go through the effort of giving your sink a thorough cleaning it could make a huge impact for a Tucson home sale. One of the best things you can do to make your bathroom look new again is to give it a deep cleaning. That includes the shower walls, your shower door, in and around the toilet, the floor, and the countertops. Make this room sparkle! Fix any broken tiles or flooring. If you have carpet in here, get rid of it. Carpeting in the bathroom holds in odors and screams "GERMS!" to potential buyers. Even replacing the light fixtures and faucets can make a huge difference to its appeal. Finally, never neglect your curb appeal. This has a major impact on a Tucson home sale. Fix any cracks and erase any stains on the driveway or sidewalk. Check your yard for weeds. Place trash bins to the side of the house, out of sight. Keep toys, tools, and other items stored away in the garage or shed. Keep all landscape neatly maintained and trimmed. Adding a seating bench with a couple of colorful throw pillows to the front porch creates an inviting space to welcome buyers inside. 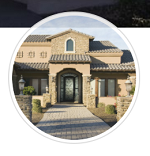 When you're ready to list your Tucson home, contact me. I'll help you sell your home as quickly as possible for the best price possible.